/ TOTALLY OUT OF MY COMFORT ZONE! I did something very uncomfortable, let’s say, and it made me realize a lot of things. Here’s what happened. I was at the gym, and I’m just doing a boot camp type workout. It’s a group personal training and you go to each station, and I was with friends. We do that once in a while. There is a station that is a box jump. 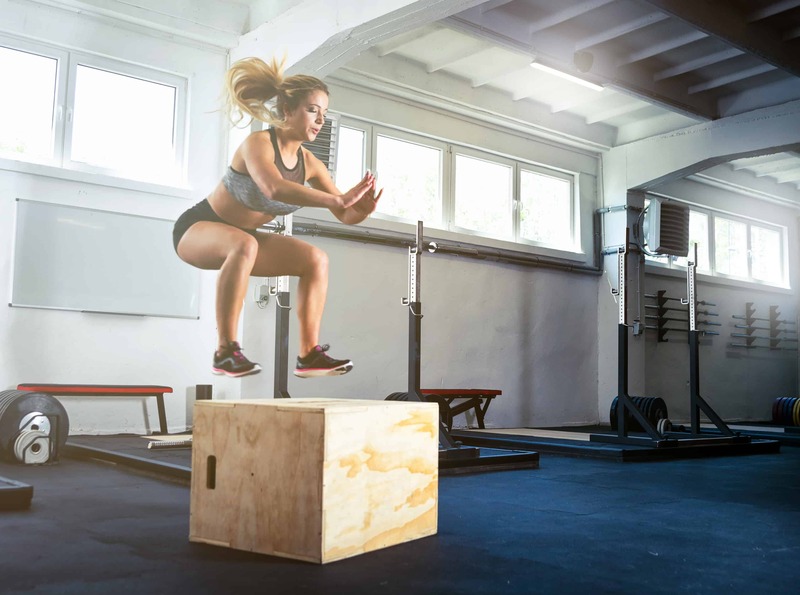 So the box jump is … There’s kind of a big box if you like, and you have to jump on it with both feet. And the box is about, I don’t know, maybe that high. It’s kind of easy. It’s doable and it’s cardio at the same time, because you jump off and then you walk down, jump off, and we do everything for 45 seconds. Now, in our group, there’s a friend of ours, Graham, who is like seven foot tall. For him, the box jump is like walking over a Q-tips. There’s this extra box section that you can add on to the box, so that’s what he does. He goes get that extra box, he puts it on top of what we all jump on and now it’s like that tall. He jumps on it with both feet and he lands. We’re like, “Holly molly.” Of course, he’s got legs longer than my whole body, so yeah, good for him.” Now, that’s the first round, we do that three times. On the second round, my other friend Albert, who is in great shape, super fit guy, he’s in construction, he’s like super healthy, super strong. He thought, “I’m gonna try it.” He gets this extra thing as well, puts it on top and he does it. And then I’m like, “Wow, these guys are amazing.” And I don’t even think about it. So it’s my turn, ’cause we rotate and I take the extra box and I start removing it, and then the trainer comes around and said, “Oh, I actually thought that you would try it.” And I thought, “Oh, wow. I guess I could.” It never even occurred to me that I could do it, because to me it was just like, “Oh, I’m not tall enough or I’m not good enough, I can’t jump high enough, I’m not fit enough.” In fact, I think that I’m super fit. Like, come on, I have to, I think I could do this. So I’m scared. Here I am in front of the box and then I go … And then every time I get closer, I’m scared. I’m totally freaking out because I feel like I’m gonna hurt my ankle or I’m thinking of hurting my knee, I’m thinking of everything that could go wrong. And I have to pause for a second and drink my own Kool-Aid because that’s what I do all the time with my clients. We are all scared. We are all thinking of everything that could go wrong instead of focusing our energy on how could it go right. What do I have to do? I know I can jump high, I know I do, ’cause I teach a class called strong and we do tuck jumps and I know I can jump really high. Somehow I’m just scared of this box. And I tried again until I got it and I actually jumped that big box and it felt so awesome. I feel like it had been so long since I had challenged myself, since I had pushed myself out of my comfort zone, fitness wise anyway. In business, I feel like I do it more, and yet I can do it so much more. Now it made me realize that: “Oh my gosh, that’s awesome.” It’s so strong when you put your mind into it, what you can accomplish. Honestly, go look for your box. What is your box? What do you think is way out of your league and what are you gonna decide to try? What are you gonna decide to tackle on and focus on which are the things you need to be thinking of in order to do it, instead of thinking of what can go wrong? Have a great week everyone. And that was my box story. Bye.